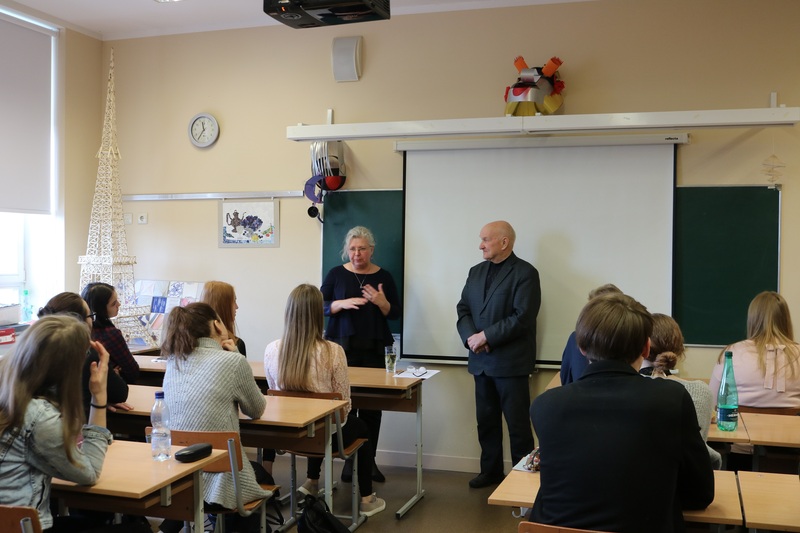 Local time at noon on March 20, 2018, Professor Pēteris Pildegovičs the director on Latvia-side of Confucius Institute at the University of Latvia was invited to give a lecture about contemporary China in Riga Culture Secondary School for students from 11B. 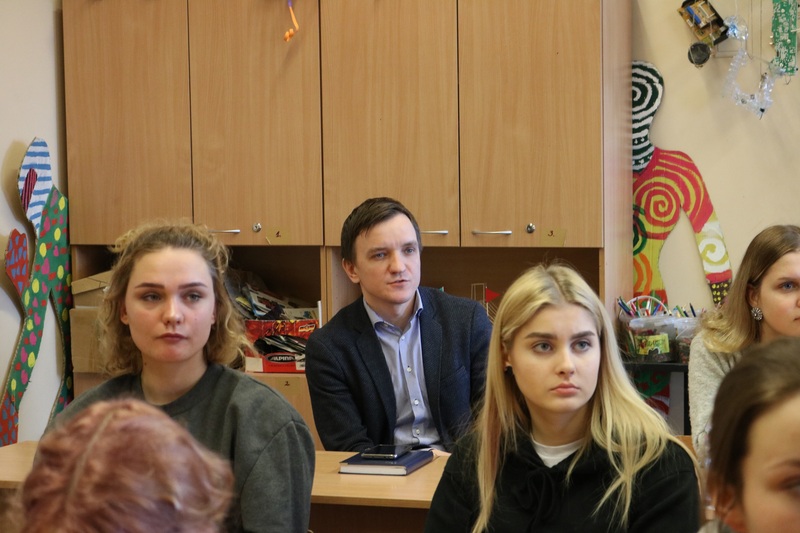 The lecture was hosted by Ms. Pitkeviča Inese, the deputy rector of Riga Culture Secondary School, and the others guests included Mr. Bērziņš Mārtiņš, deputy rector, Ms. Dong Fang and Ms. Wu Tiantian, Chinese teachers from Confucius Classroom of Riga Culture Secondary School. 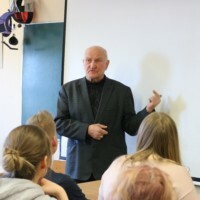 Professor Pēteris Pildegovičs has been engaged in Chinese language teaching and the development of Sino-Latvian relations for more than 50 years, which started from 1964. Based on his personal experience, Professor Pildegovičs introduced the characteristics and thoughts of modern Chinese people to students. He said that he went to China to engage in diplomatic work in 1998 and witnessed the People’s Congress with the participation of ambassadors from different countries. Then he had been worked as a journalist in Xinhua News Agency for two years. He said that whether it was the flood in 1998 or SARS in 2003, Chinese people’s spirit of unity and bravery when confronted with disasters left a deep impression on him. This spirit had existed since the ancient times, was passed on generation after generation, and it was a unique spirit of Chinese people. Professor Pildegovičs also mentioned that China was a country with a large population, so it’s very necessary to have one leading party to lead such a big country efficiently. The last part of the lecture was question-and-answer, and the lecture was ended in a good atmosphere. 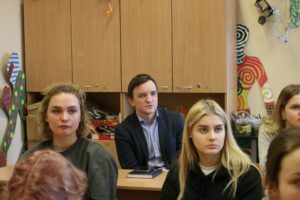 Professor Pēteris Pildegovičs has been among the first sinologists since the establishment of the Republic of Latvia, a leading of expert of Chinese teaching in Latvia, and one of the founders of the institute. Prof. Pildegovičs has worked at the Ministry of Foreign Affairs and University of Latvia for a long time. 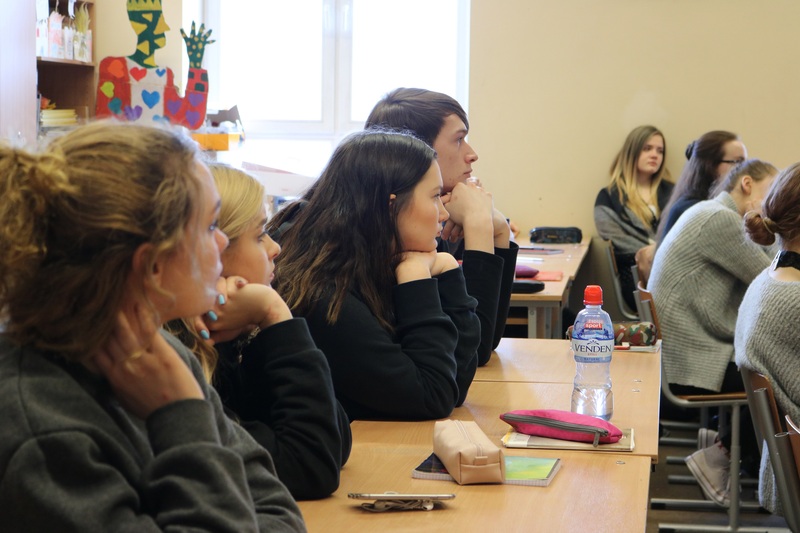 Prof. Pildegovičs has devoted over 50 years to Chinese language teaching and building Sino-Latvian relations, and made an extraordinary contribution to it.